You are here: Home \ News \ Culture Care & Australian Sikh Association Community Health Care Program a Huge Success! Community Health Care Program a Huge Success! More than 16 years ago, Sikh Youth Australia started running camps for young Sikhs in Australia. Among those who attended these camps were several young Sikh professionals who on Sunday, 23/11/2014, were prominent in conducting a health clinic at the Australian Sikh Association premises in Glenwood. 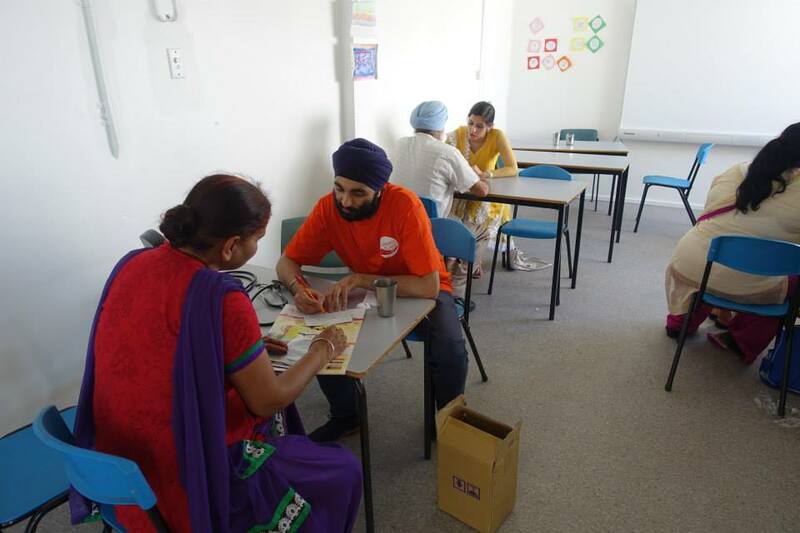 The Culture Care Pop Up Clinic was a special community project between the Australian Sikh Association and Sikh Youth Australia. The event saw just under 200 members of the Sikh community at Glenwood examined by doctors and other health professionals. Over 20 volunteers also turned up on the day to help with the program. Among the 6 doctors and 2 specialists in attendance was a doctor from Queensland, Dr Komal Kaur Saini. She had flown down from Brisbane just to help with the program. Of those seen by the doctors at the clinic were two persons who were deemed to be high risk cases. They were immediately sent to a Sikh doctor in the Glenwood area, Dr Kheray, who was kind enough to treat them without any fee. One of the volunteers who accompanied the two elderly patients also insisted on helping by paying for the medications needed by one of the two patients. 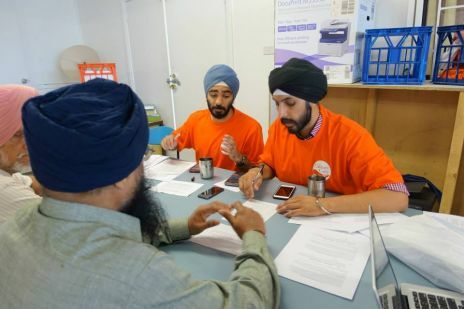 “This Culture Care Pop Up Clinic is the third that Sikh Youth Australia has organised this year. It is also the most successful,’’ said Dr Daman Bhatia. Leading the Culture Care team on Sunday were Dr Daman Bhatia, Dr Kunwar Bhatia and Parneet Bhatia. All three are “graduates’’ of the SYA youth leadership and summer camp programs which have been running for the past several years. Dr Kunwar Bhatia has also represented SYA youth at a National Youth Leadership Forum held in Canberra. 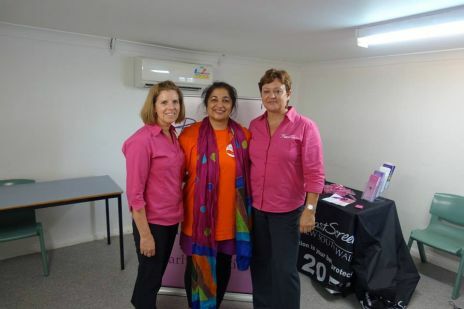 Apart from the Pop Up Clinic, SYA was also involved in November with the ladies of the Pink Sari Project to raise Breast Cancer awareness among Sikh women in Sydney. Two talks in Punjabi on the subject by Mrs Kalwant Kaur saw many Sikh women sign up for breast screening. Similar talks in Revesby Gurdwara and in Turramurra Gurdwara also had a very positive effect. SYA spokesman Satwant Singh Calais said it was very pleasing to see the hard work of the past 16 years bearing fruit with youngsters who are now adults coming forward to take on the mantle of sewa in our community. Special thanks and gratitude is extended to the ASA Management Team who supported this event and contributed to the supply of pedometers to all participants as a tool to encourage them to take time out to do exercise. The next major event is the 17th SYA Summer camp from the 6-11 January 2015 and all Sikh families are urged to attend this wonderful week long of Sikhi learning.